Q. Is treatment with ARESTIN a new procedure? A. The use of a locally administered antibiotic is not a new concept. For years, dental professionals have used antibiotics in conjunction with scaling and root planing procedures (SRP). However, ARESTIN is the first locally administered antibiotic with microspheres that has been proven to be more effective than SRP alone. Q. How can ARESTIN help periodontal disease? A. When used together with SRP, ARESTIN can significantly reduce the depth of the infected pockets that can form around teeth and help prevent disease progression. The combination of ARESTIN and SRP is more effective at fighting periodontal disease than SRP alone. In addition, ARESTIN has been shown to be particularly effective in patients who are smokers. Q. Does treatment with ARESTIN hurt? A. Treatment with ARESTIN is easy and doesn’t cause discomfort. There is no need for anesthesia or use of needles when ARESTIN is applied. Q. Is ARESTIN covered by my dental insurance? A. Many insurance plans provide some assistance with costs. Call Lisa or Myra to see if your insurance covers any cost. In light of recent information linking periodontal disease to overall health, many insurance providers are increasing their coverage for these types of treatments. And, keep in mind that treating periodontal disease today is less costly and better for your health than waiting for the disease to cause tooth loss or lead to a more expensive periodontal or surgical procedure. Furthermore, even if you do not have dental insurance Arrestin treatment is very affordable. Dr. Nugent is a Pasadena, Texas Dentist. His practice is devoted to Cosmetic, Family, Implant and Sedation Dentistry. Our office sees patients from Pasadena, La Porte, Deer Park, Friendswood, League City and Houston Texas. 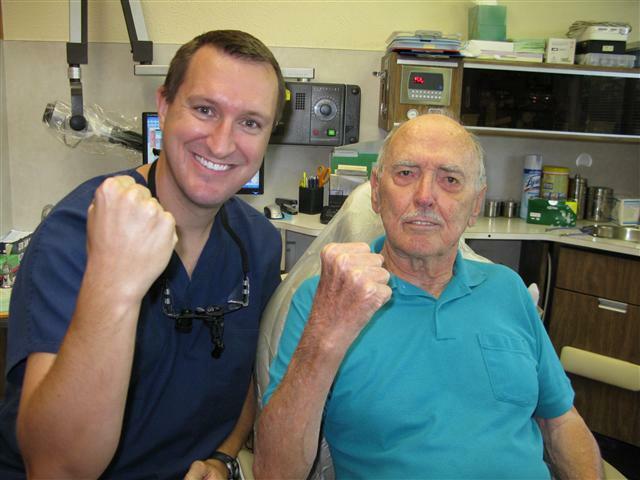 Dr. Nugent has been voted BEST PASADENA TEXAS DENTIST multiple times. Experience award winning dentistry at our office. Visit our office at 3421 Burke Rd, Ste A, Pasadena, Texas 77504.